Malappuram: In a shocking incident, a man killed himself by hanging in his house on Friday after a mob attacked him on August 28 for alleged trespass. The deceased has been identified as Muhammed Shajid(23) who is the son of Musthafa, Poozhithara house. 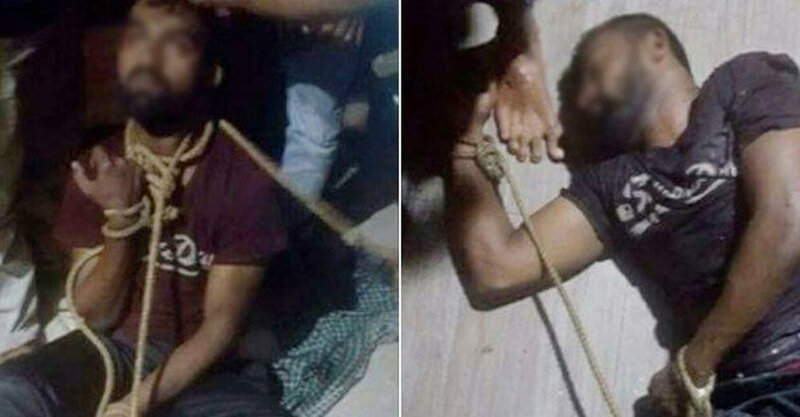 What is to be believed as a case of moral policing, photos circulating on social media showed the youth’s hands tied with a rope apparently after a rough-up, in a pitiable state. After locals complained that he trespassed into a house in Kuttippala in an inebriated state, a night patrol team of Kalpakanchery police had arrested Muhammed. The police took him to a hospital for medical examination. The police said he had not been injured. The police said the family had filed no complaint and the man was subsequently let off. “Initially, there were no complaints from either side and hence no cases were registered. The man was in an inebriated state. The body has been sent to the Government Medical College Hospital, Kozhikode, for a postmortem examination. Action would be taken against those who found guilty,” district police chief Prateesh Kumar said. Meanwhile the relatives said the photos circulated fast and this would have prompted Shajid to take the extreme step.